If you are looking to buy a new vacuum cleaner then you are spoilt for choice these days. There are many types now available, from the classic upright design through to the latest robotic vacuum cleaner models. You will also find a wide range of prices and features, so the task of choosing a new vacuum can become quite difficult. 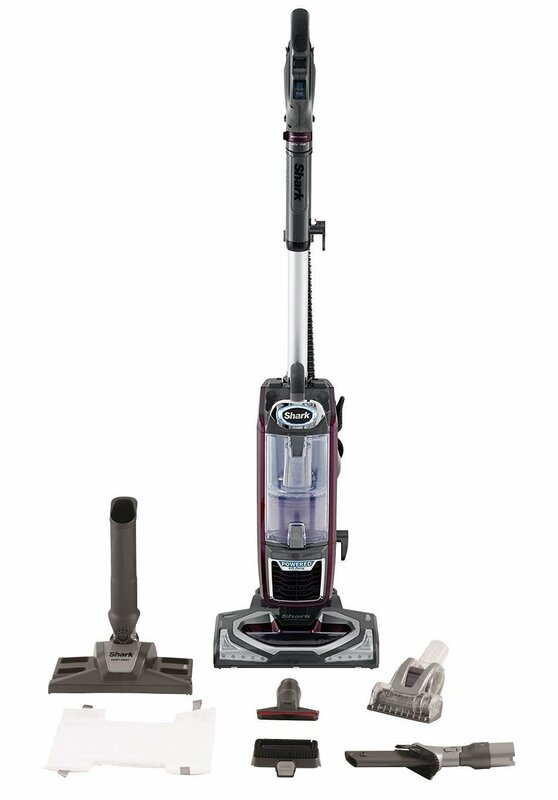 In this Ultimate Buying Guide, we explain the different types of vacuum plus review the best model in each category. We also explain some of the key features to look for when buying a new vacuum. 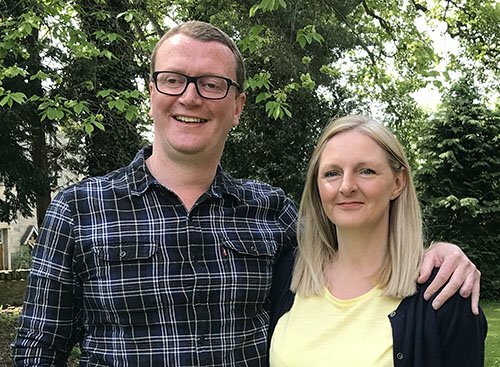 If budget is your main buying criteria, take a look at our recommendations by price point. We hope you find this guide useful. Vacuum cleaners come in different colours, sizes, shapes, functionalities, and prices. There are many vacuum cleaners in the market and you need to invest in the right type for that suits your requirements and budget. Vacuum cleaners fall into several different types which we explain below along with the best seller in each category. These are the most popular vacuum cleaners, mainly due to the fact that they are easy to use and store. Upright vacuums come in both bag and bagless (the dirt is stored in a container) versions. 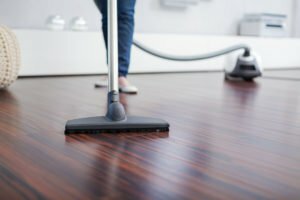 Generally, upright vacuum cleaners offer good cleaning ability due to the size of the cleaning head and the number of brushes that can be included. Attachments are also easily stored on these models. The downside is the weight and the heavier version can be more difficult to push around. 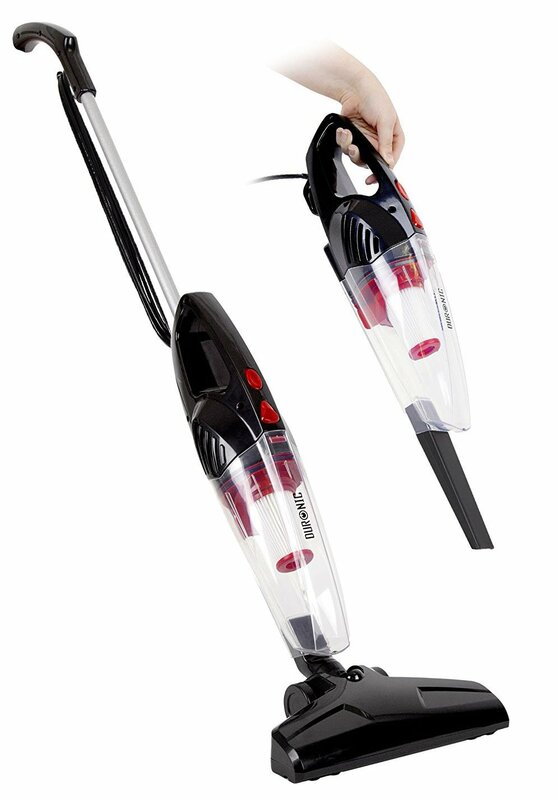 The Vax U90-MA-Re is a super light vacuum with extra reach. This full-size unit is capable of cleaning stairs, cars and large floors. The incorporated multi-cyclonic technology provides a strong suction for cleaning different surfaces. It is a powerful machine designed with a light frame which makes it easy to push upstairs. Slim and retractable handles also save space. The handle can be adjusted into 8 different heights allowing you to achieve the most comfortable position. The long hose and power cord provided allow you to clean all corners as they have a reach of up to 15 meters. There is no need to unplug the machine while cleaning different spots due to the long power cord. The exceptional cleaning power deals with pet dander, dust, and dirt and it can remove hairs from car seats, upholstery, and stairs. It is also equipped with a HEPA Media filter which is capable of removing a wide range of allergens. There is an LED indicator which alerts you in case of any damage. You can also easily remove the brush bar by releasing two clips. The dust container can be emptied quickly by holding the bin and pressing the release button. 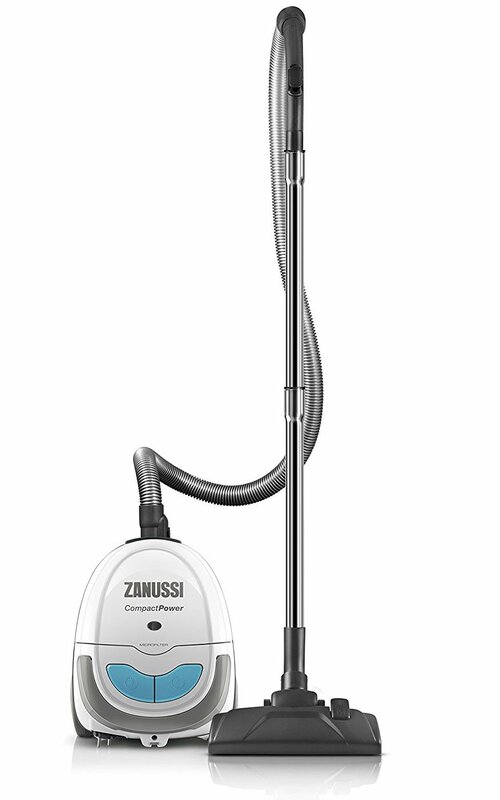 This models also has two cleaning modes allowing you to clean carpets and hard floors. These are automated and lightweight devices which clean floors based on instructions given by the user. A remote control or a console is used to enter instructions. They also have settings which allow you to define the cleaning intensity. These vacuums cleaners move around the room with limited supervision and they shut off automatically after finishing the job. RoboVacs are equipped with electric sensors which allow them to avoid obstacles like walls and furniture. Rubber bumpers are also used to soften any impacts which might occur. This type of vacuum can clean carpets, wood and tile flooring. This cordless device needs to be charged after use but they require no bags and generates less noise. 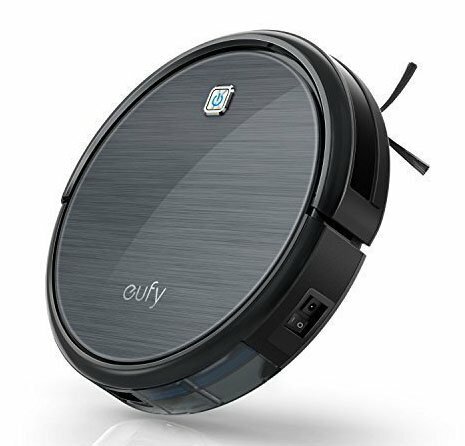 The Eufy RoboVac combines 3 brushes and a powerful suction to provide an exceptional cleaning performance. It has one rolling brush and two side brushes, which loosen and extract dirt from the floor easily. Dirt is then vacuumed into a dust collector. This hands-free vacuum cleaner climbs over rugs and moves along uneven floors easily without falling over. Infrared sensor technology also allows the RoboVac to evade obstacles. It is made of a scratch free glass cover for protection and this model features a low-profile design which is 0.5cm thinner than other models. This allows you to clean hard to reach places, especially under your furniture. It is designed with three distinct modes; edge, spot and max and this makes sure that dirt is removed effectively from different spots. This model has three filters including one with a HEPA-style to trap fine dust particles and allergens like pet dander and spores. It cleans your house at the click of a button. Cleaning is done automatically as the RoboVac docks to recharge itself. This unit is powered by high-capacity Li-ion Battery which delivers suction power constantly for 1.5 hours. It comes with multiple accessories including a charging base, guide, cleaning tool, filter and an AC power adapter. Cylinder vacuums have a motor and a dust collector in a separate unit. A hose attached at the end is used for vacuuming. This type of vacuum can be corded or cordless. They used different attachments to clean difficult places like stairs, walls and under beds. This type is more flexible than upright vacuums and there is less need to move the main body of the vacuum around.. This compact vacuum cleaner is designed for smaller homes. It has a great suction force which ensures maximum cleaning performance. A dual-nozzle design allows you to clean both hard floors and carpets much easier. The vacuum includes chrome extension tubes which allow you to clean hard to reach corners. The AN3002EL features a minimalist and compact design which allows you to store the unit in small spaces. It’s a powerful vacuum cleaner despite its small size and this highly rated machine delivers a great cleaning performance. The 1400w motor delivers a great cleaning power. It also makes use of the microfiber filtration system which captures a wide range of allergies. This machine weighs only 3.2 kg and moves easily along the floor. It comes with a 5 m power cord with a rewind function. A 2L dust bag is also attached to the unit. These smaller vacuum cleaners that can be operated with one hand. They are mostly used to clean car interiors and for quick clean ups. There are corded and cordless handheld vacuum cleaners available and both are perfect for cleaning hard to reach areas. This type is not great for wide area floor cleaning due to their size. 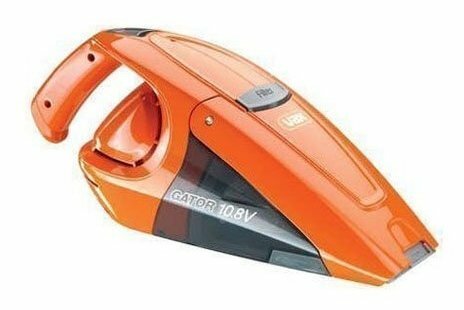 The Vax H90-GA-B Gator makes use of a 10.8 v battery which is ideal for cleaning little spills in your home and car. The battery can last for 13 minutes in constant use. This cordless model allows you to avoid obstacles while cleaning your home as you can manoeuvre it easily and clean places which are hard to reach. This model uses Gator Mouth Technology which allows you to empty contents from the bag with ease; the "mouth" can flip up allowing you to empty the contents straight into the bin. This container has a capacity of 0.2 L only. The mouth is designed with the shape of an alligator which makes it easy to manoeuvre. Its dirt container allows you to see the level of contents which makes the emptying process more convenient. The filter can also be removed easily and cleaned. It weighs only 1.24 kg which makes easy to handle and carry during cleaning and storage. A built-in retractable crevice tool makes it easier to clean tight spots and there is an LED indicator that shows you when the unit is charging. Alternatively, read our full handheld vacuum cleaner buying guide. Cordless vacuum cleaners are similar to standard upright or handheld models but include a rechargeable battery rather than a power cord. Upright cordless models are usually smaller and more lightweight than their corded equivalents. The main advantage of cordless vacuums is that they are easy to use and ready-to-go (as long as you keep them charged!). The downside of these type of vacuums is running time between charging, especially if used on higher power modes. This is a cordless vacuum cleaner which allows you to clean your floors and stairs much faster. It is a handheld cleaner which cleans places which are hard to reach. The Morphy 732005 is a lightweight model which allows you to manoeuvre easily while cleaning hard floors and carpets. It is a two-in-one model which can be used both as a handheld and upright unit. It uses a powerful 18 v battery to deliver a great cleaning performance. The dual power switch provides an extended cleaning time of up to 30 minutes before recharge. The panel features controls which are also easy to use. This model features a dust canister which can be easily removed from the unit and contents can be emptied directly into the bin. The collapsible handle also allows you to store the unit easily by reducing the overall height. Alternatively, read our full cordless vacuum cleaner buying guide. Wet and Dry Vacuum cleaners can be used for normal vacuum cleaning but also have the ability to vacuum up liquids, this is particualr useful for any large spills or for floor area that get frequently wet. This vacuum cleaner can be used both for dry and wet cleaning. 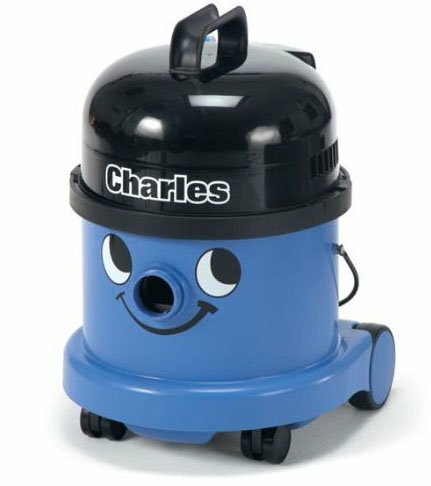 The CVC370-2BL/BK Charles can be used to pick up dirt and dust but it can also be used to unblock a sink and dry your floor. This is enhanced by a full Twinflo motor which provides an exceptional cleaning performance. It comes with a wide range of accessories including tubes made of lightweight aluminium. This means the unit is rust free while spending its life cleaning up liquids. Cleaning is done through two nozzles: one is used to clean liquids, the other one is used to clean carpets and hard floors. The unit is powered by a 1200w motor which delivers adequate suction power for removing dirt and fluids. The two-stage motors operate at low sound levels. Big filters coupled to HepaFlo dust bags are used to remove dry dirt. A safety valve is also incorporated for picking up wet dirt. The Charles is designed with a low centre of gravity and it rolls nicely and manoeuvres around obstacles without toppling. Overall, this is a very versatile vacuum which allows you to tackle dirty floors and large spills. This type has a long-stick handle and the main body is smaller than upright vacuum claners. They are the least powerful vacuums but are good at cleaning tight spaces. They can be used for cleaning hardwood floors, light carpets, and rugs. Their slim size allows them to be stored in small spaces. Carpet cleaners are a good alternative to renting machines or paying for a cleaning company, especially if you need to clean your carpets on a more frequent basis. Carpet cleaners come in upright and handheld versions and work very similar to a vacuum cleaner but with the added benefit of the cleaning system – you add water and cleaning solution to the machine, typically this gets heated and when you manoeuvre the cleaner over your carpet, the brushes agitate the carpet fibres and the cleaning solution is applied. You can then run the cleaner over the carpet again to remove any excess moisture. The disadvantage of carpet cleaners is that there are usually heavier and more expensive than standard upright or handheld models. The Vax Rapid Ultra 2 is a quality carpet cleaner. It is designed with a rotating brush bar which helps in removing dirt attached deeper in the carpet. This model is designed with Dual V technology which extracts water within a limited amount of time which leaves your carpet clean, dry and smelling fresh. A 3-meter hose attached to the unit provides a longer reach and the wash tool helps in cleaning stairs and also upholstery in your car. It is also great at cleaning carpet edges. You can tackle accidental spills comfortably and its an ideal cleaner for homes with pets and young children. The Rapid Ultra 2 has a large tank which allows you to clean longer without making regular refills, especially when cleaning larger rooms. Tough stains are handled by a pre-treatment wand and a solution. The NV680UKT is a relatively new product by Shark designed with Powered Lift-Away technology. The main unit of the cleaner can be detached from the wand by simply clicking a button. This turns the upright vac into a portable unit and power is delivered directly to the brush roll during the Lift-Away mode. The handle provides an extended reach allowing you to go anywhere. Different brushes including the dusting brush and pet brush are attached to the unit. All of these features allow this vacuum cleaner to be moved up the stairs with ease. This model also features Anti-Allergen Complete Seal Technology, this works by the air system capturing and holding dust within a compartment. This makes sure the air around the house remains clean while and after vacuuming. 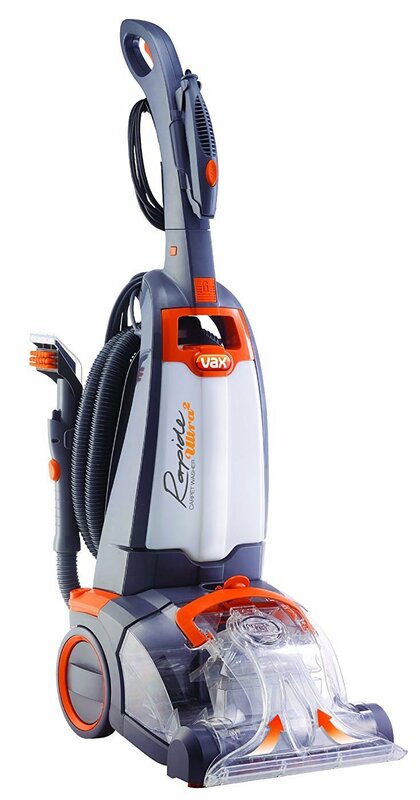 This model can clean both hard floors and carpets and cleaning modes can be changed using a button located above the canister. This model is also designed with a swivel steering for manoeuvrability and movement is also enhanced by the ergonomic handle. LEDs are also used to illuminate dirt in hidden places and the controls are conveniently located on the handle. This is a bag-less cleaner designed with a multi-cyclonic technology which separates dirt and dust from the air path, keeping your filters free from clogging. It also ensures a powerful constant suction. This bag-less cleaner comes with a 2-liter dustbin which can be accessed easily. It is also emptied and cleaned less often due to its large capacity. The filers can also be easily removed and cleaned. The whole unit weighs 3.8 kg which is a manageable weight. This model is suitable for cleaning carpets and hard floors. The onboard tools come in handy while cleaning different areas in your home. Extension tubes are used to clean hard-to-reach areas and a dusting brush is used to remove stubborn stains. The crevice nozzle picks up dirt from small spaces. Maximum reach is guaranteed by 6.5m cord length. Cleaning settings can be adjusted to suit different types of floors, the brushes adjust automatically when you set to a specific floor type. The filtration system uses Hepa technology which leaves air clean. This is a flexible cleaner for use with different home sizes. It can pick up dirt with ease and the suction force is great. The Duronic VC8 can be converted from upright to handled vacuum with ease and this versatility allows you to perform a wide range of cleaning tasks. There is no need for purchasing a large vacuum or more than one vacuum for performing simple cleaning tasks. It is rated at 600w/800w watts which is enough to do all cleaning in medium sized homes as it provides sufficient power and cleaning efficiency. An extra turbo brush allows you to clean places that are hard to reach. and this can be combined with a long hose for deep carpet cleaning. The suction force is more than adequate when used as either a handheld or upright cleaner. The whole unit is small enough to be stored without taking too much space and it is light enough to be carried around and stored easily. This model also features a Hepa filtration system which helps in removing small dust particles and it does not block easily like ordinary filters. Other features include a power cable that is also easily stored and a transparent dust canister that allows you to see the fill level and allows easy dirt disposal. A good vacuum cleaner should offer exceptional functionality. It should be able to handle different types of dirt with ease. Most models can be used both on hard floors and carpets. You might want to choose a vacuum cleaner which can clean tight spaces and cover a large area. Below are the main things to consider when purchasing a vacuum cleaner. A vacuum cleaner should be easy to push around while cleaning. Choose a light vacuum to reduce fatigue while cleaning. Select those with suction adjustments since most vacs come with a powerful suction which requires effort to move along the floor. The vac should be easy to carry up and down stairs. Some have wheels and rollers which make it easy to move on the floor. Ideally, the size of the vacuum cleaner should match the size of your home. Choose vacuums with long cords and hoses. These allow you to clean your space without unplugging the unit. Small vacuum cleaners can fit in tight spaces. They can also move under furniture to remove dirt. Consider buying a handheld version for cleaning your car. Consider automated models in case you want to clean your home with little supervision. Also choose vacs which allows you to see the level of dirt for convenience. The motor should provide enough suction power. For cordless models, choose vacuums with the right battery power. The runtime should be long to avoid interruptions while cleaning. The battery should also be easy to charge. Consider buying vacs which shut off automatically after finishing the job. LED power indicators also make the recharging process easier. Both of these vacuums require some level of maintenance. Bagless vacuums eliminate the need for using vacuum bags. Both of them need to be emptied regularly and filters also need to be cleaned on an ongoing basis. Bagged vacuums trap dirt inside a bag which is then disposed into a bin. Consider what attachments you might need. For example, pets mean you have to clean up more hair so consider buying vacuums with the right attachments like a turbo brush crevice tool for picking up these pet hairs. Look for attachments that allow you to clean dirt in hard-to-reach places. People with allergies should consider buying vacuums with a sealed air system to prevent dirt, pet dander, and allergens from escaping. Consider vacuums which feature a HEPA filtration system, these clean the air while vacuuming. Choose a vacuum which lasts longer especially with frequent cleaning. Look for vacuums that are easy to maintain. The attachments should also be easy to take apart and clean. Want the latest updates on home appliance product deals and latest product reviews? Enter your email address below to be kept informed.